The cost-effective and friendly team ethos that jhai demonstrates both in administration and on site ensures we will continue to use their services for years to come. We have used jhai limited as our Approved Inspector since we started our business 13 years ago. Their in-depth knowledge of Building Regulations, the extra services they provide plus the friendly and constructive manner in which they operate all suit us down to the ground. The service over the past two years and the support from jhai has been excellent. We've found your Building Control service to be efficient with administration, responsive to requests for inspections/ approvals and helpful with resolving any technical issues on both our apartment and detached housing schemes. What a revelation! The best Building Control experience ever. Absolutely brilliant. I would just like to thank you for a very speedy, helpful and efficient service. I got everything I needed on time and on money. I will definitely use you guys again. jhai were brilliant from start to finish. Thank you. jhai helped overcome the complex access challenges of a difficult site whilst ensuring the quality of the environment. As a company we require immediate accurate advice that we can incorporate into our proposals and advice to clients; jhai have provided that on every occasion. We find the flexibility that jhai offers to be of great help in today’s fast moving building industry, where decisions are made and changed very quickly, sometimes on a weekly or daily basis.jhai follows the building works carefully, without over-complicating the whole process, which is a great help for keeping the project on budget and program. Their flexible approach to working with us allowed us to make savings of over £400k on a particular scheme following the agreement of a bespoke Fire Engineered solution. We would have no reservations in recommending the jhai team. Their competitive rates, common sense approach and first rate service help our projects to run smoothly and efficiently with any issues quickly dealt with. We have always found jhai’s wealth of Building Regulation knowledge and experience invaluable in the detailed design phases. Their ability to 'think outside the box' when involved on particularly unusual projects has allowed innovative design solutions to be achieved, by engineering solutions to suit a particular circumstance. The advice jhai give to our builders is second to none and they are on hand at all stages whilst the works are being undertaken to ensure a smooth running project. Good morning Stephanie and Nigel. Many thanks for the attached certificates, and for your prompt and efficient support throughout this build project. Many thanks for all your assistance and advice with the project. I've been more than happy with the service jhai has provided on this project and previous and will continue to work with you to our mutual benefit. We would like to thank you all individually for the help and support you have provided in completing projects this year. We couldn’t have handed over some of them if it wasn’t for your swift turnaround on completion certificates. So a big thank you to all of the teams at jhai and hopefully 2017 will be another successful year. I'd like to express my gratitude to you and your firm for your professional and helpful approach to the building work we had done . Too often, people seem to work from the basis of what is convenient for them and not what is convenient for their customer. I get the distinct impression that is not the way you work. We encourage all our clients to appoint jhai - their pro-active and problem-solving approach means we get better solutions and deliver better operational environments. We have worked with jhai on a number of large commercial projects and find their pro-active approach beneficial to the project as a whole, particularly during the early design stage. They understand the clients' and contractors' needs and actively assist the design team where they can. I have issued 14 projects to jhai in the last 2 months, they have always dealt with them very quickly which enables work to start on site without delay, which is vital to my clients. 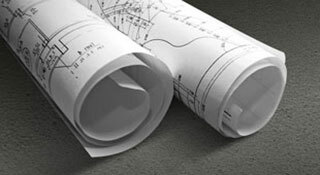 Their Inspectors have an excellent working relationship with my contactors which enables the projects to run smoothly. 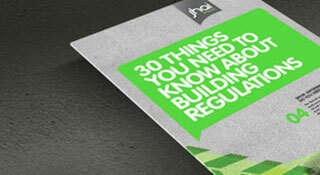 jhai are already more competitive than the Local Authority or other Approved Building Control companies. We have worked with jhai on a number of large commercial projects and find their pro-active approach beneficial to the project as a whole, particularly during the early design stage. They understand the clients and contractors needs and actively assist the design team where they can. We like JHAI because they reply very quickly to quote requests and there is always a person of contact if we have an inquiry. It couldn’t be simpler: you can apply, submit plans and make payments all online. Just click here to get started. Any questions about the Building Control process? 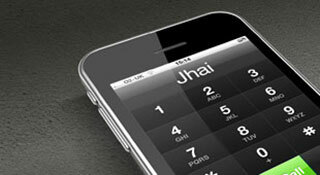 Need to talk to a jhai expert? Click below to get in contact with us. All the info you need. Free factsheets on important topics and updates for you and your clients. Sign up to our newsletter. The Grenfell Tower tragedy has rightly caused the building and construction industry to wake up to the regulatory challenges that have been overlooked for too long.